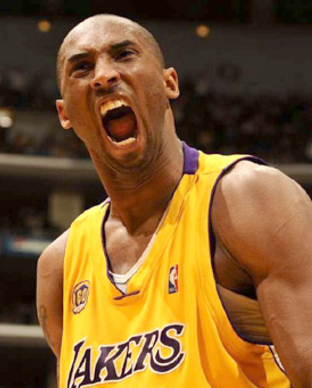 I am not a huge NBA fan, but when Kobe Bryant’s agent calls and says “Mr. Bryant would like to speak with you,” you take the call. He’d read my advertising book Hey Whipple, Squeeze This and just wanted some advice about some marketing stuff. Turns out he’s as nice and normal a guy as you could wanna meet, which is amazing for a superstar many would call the best player on the planet. So anyway, a coupla weeks back I wrote to him. (Yes, I have the Mamba’s personal email and yes, I am very cool.) I asked him if he’d return the fave and just do a posting on his Facebook account about my new book, Thirty Rooms To Hide In: Insanity, Addiction, and Rock ‘n’ Roll in the Shadow of the Mayo Clinic. I didn’t want him to sell something he wasn’t a fan of, so I gave him an out. I said, “Hey, all you have to say is ‘I couldn’t put it down,’ which will be true if you never pick it up.” Kobe says, “Sure,” and so I threw the book in the mail. Keep in mind the dude’s got 14 million “friends.” There are TV networks that would love to have those kinda numbers. So I’m keepin’ an eye on his Facebook page. Weeks go by, but my short history with him showed that his life as #24 on the Lakers often takes him off the social grid. But two days ago I noticed he posted he was laid up with the flu. Here’s how famous the guy is. Even when he posts a message as banal as “I’m laid up in bed. Not feeling well. Drinking lots of fluids,” 83,461 people “like” it. And 672 go so far as to share it on their pages. The numbers, to me, seem fairly Malthusian. So I sent him a little nudge. “Mmmm,” I wondered, “if only you had something handy to read.” That seemed to do the trick. Bottom line? Sales up but not crazy up. And I’m pretty sure it’s not because Kobe’s kind mention of my book on his site didn’t get a trillion eyeballs. It did. My guess is that his audience shows up to talk about basketball, not what he is reading. I could be wrong and so I’ll keep an eye on the sales numbers for Thirty Rooms and do an update later. Boom. Betcha I just sold 2 copies. You’re welcome. Kobe? Thanks so much for takin’ the time to post about my book. Get better. Great story Luke! And very awesome news for the book. But in my mind, you glossed over the most interesting part: What was Kobe doing reading “Hey, Whipple”? THAT is a story I’d love to hear more about. Kobe has a part interest in an agency in LA. He got the ad bug while doing commercials with W+K for Nike. He’s a cool, smart, and nice guy on the phone. I like it when super-stars are nice. That’s a great story, Luke! Great story! For what its worth, I’m having my book club read it in February when its my turn to pick…. A very important lesson in social media, which works best when you talk about what you’re expected to talk about. I’m sure the sales of a basketball-related book would have gone through the roof if Kobe had said he was reading it. Very good point on the basketball-related book.